Morton steel ball plunger comes with stainless steel ball nose. 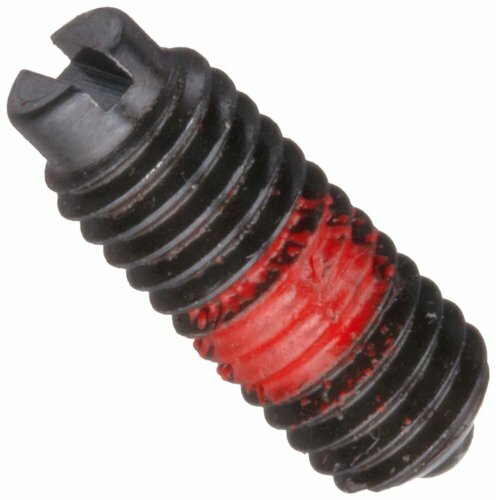 Plungers equipped with nylon pellet for positive holding. Ideal for locating or positioning applications. RoHs compliant. 35/64-inches length, #10-32 thread, 33/64-inches thread length and 3/32-inches ball diameter. 1.5 kg start - 3 kg full end pressure. 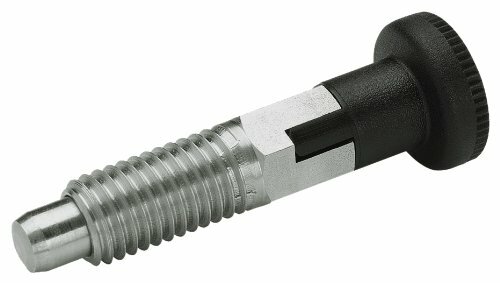 GN 717-NI are a range of low cost indexing plungers which function well in small dimensions. However, their use should be limited to such applications where high precision indexing is not required. Maximum heat resistance of nylon plastic hand knob: 110 C (230 F). 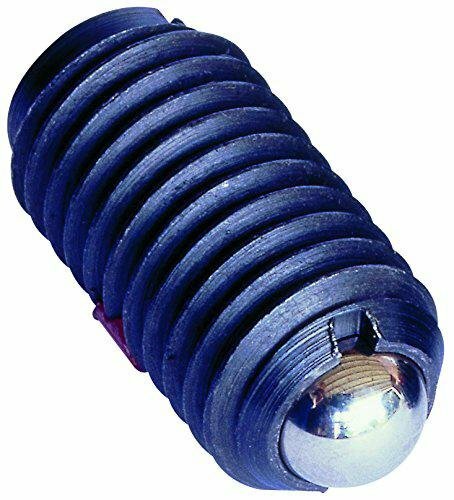 Brand: JW Winco | Manufacturer: JW Winco, Inc.
Jergens Shortie Spring Plungers are made to the same quality standards as the Solid Drive plungers. Carbon Steel body is made with full standard spring plunger stroke in the short body. Also, a screwdriver slot is substituted for the hex drive due to the smaller size. Brand: Jergens | Manufacturer: Jergens Inc. Unlike conventional spring plungers, the Jergens Solid Drive Plunger is one integral piece of steel: hex drive, plunger, and body. 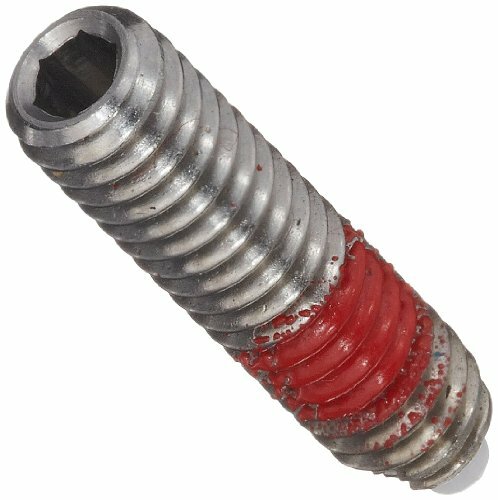 No set screw to separate from plunger body, no lost springs to retrieve, no need for easy-out tools. Best of all, when adjusting Solid Drive, you can be sure the spring plunger is turning and not just a set screw. The ball nose in these spring plungers rolls freely to minimize wear on materials before being clamped or locked down. It has a short travel range and high strength in side-load applications. Function as a latch, holding point, or as a detent by using indentations as stop points. A slot in the body allows installation with a screwdriver or plunger wrench. 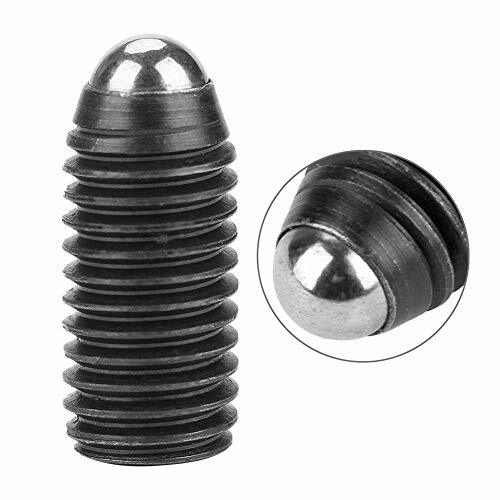 Morton steel ball plunger is Made of zinc-plated finish steel. Comes with stainless steel ball nose. 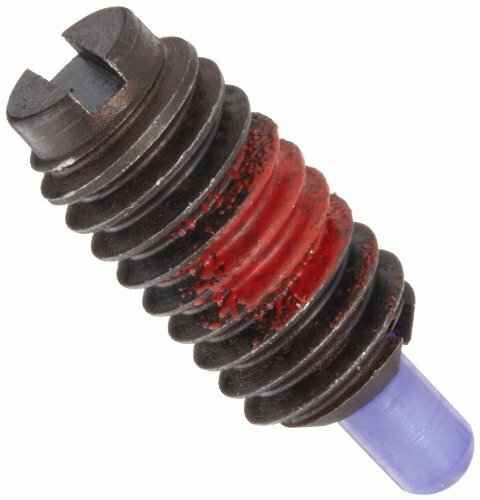 Plungers equipped with nylon pellet for positive holding. Ideal for locating or positioning applications. RoHs compliant. 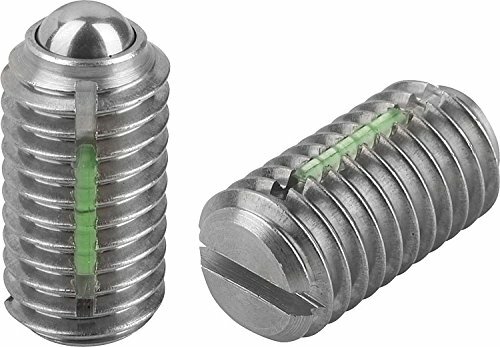 21 millimeters length, M12 x 1.75 thread, 19 millimeters thread length and 7.14 millimeters ball diameter. 26.7 kg start - 133 kg full end pressure. Morton steel ball plunger comes with stainless steel ball nose. Plungers equipped with nylon pellet for positive holding. Ideal for locating or positioning applications. RoHs compliant. 9/16-inches length, 1/4"-20 thread, 17/32-inches thread length and 1/8-inches ball diameter. 3 kg start - 7 kg full end pressure. A reliable partner to industry for over 100 years, Kipp is the Innovator of the Original Adjustable Handle. Manufactured in Germany, Kipp leverages vertical integration, design prowess, and industry knowledge to maximum customer satisfaction. Brand: Kipp | Manufacturer: KIPP Inc.
4 Mini Ball Plunger with a Built-in Switch. Can be used for index output for the rotary table. Reducing the number of components, machine downsizing can be realized. Brand: Metrol Official | Manufacturer: Metrol Co., Ltd.
M10 X 1.50 Screwdriver Type Ball Plunger ~ Body Material: 12L14 Steel ~ Ball Material: 302 Stainless Steel ~ Smallest and lightest spring loaded device. ~ Side-load tolerant. ~ Control LED end forces. ~ Screwdriver installation. ~ Ball diameter is 6.0mm. ~ L Dimension is 16mm. ~ Initial end force is 8 lbs. ~ Final force is 24 lbs. Smallest and lightest spring loaded device. Side-load tolerant. Controlled end forces.Screwdriver installation. Ball diameter is 6.0mm. L Dimension is 16mm. Initial end force is 8 lbs. Final force is 24 lbs. 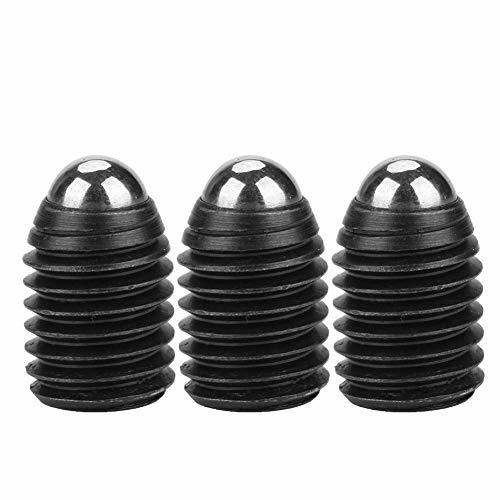 Made of carbon steel material, these ball plungers are sturdy and durable. Widely applicable for mechanical devices, clamps, molds, automatic machines, etc. They are great parts for providing pressure and accurate positioning. Easy to install and convenient to use. 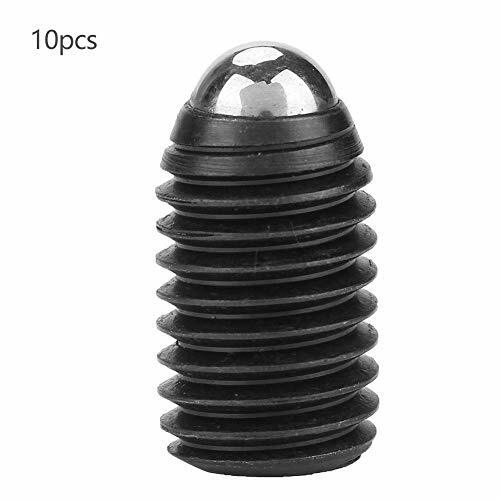 There are total 10 pieces of ball plungers in one set that you may use for many projects. 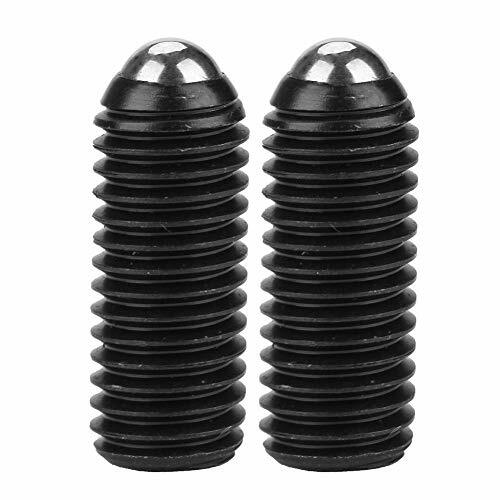 HIGH QUALITY: These ball plungers are made of carbon steel material, which are sturdy and durable. 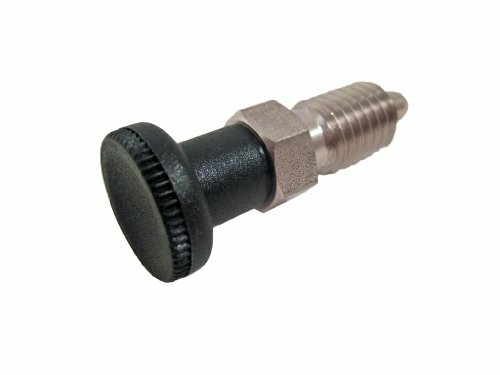 CONVENIENT: Easy to install and convenient to use,and they are great parts for providing pressure and accurate positioning. 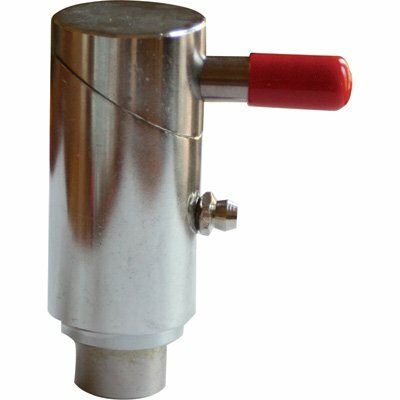 USAGE: It is widely applicable for mechanical devices, clamps, molds, automatic machines, etc. 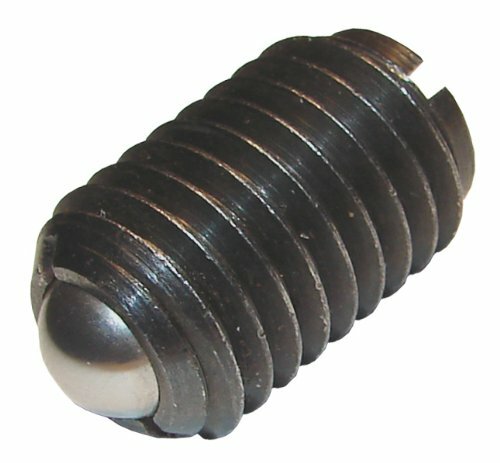 MEET YOUR NEED: There are total 10 pieces of ball plungers in one set that you may use for many projects.